You may have noticed our contemporary society’s fascination with the themes of fantasy and superheroes. 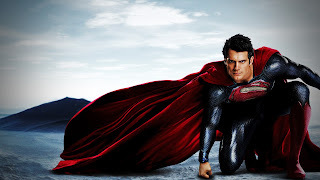 Take movies as an example: these blockbusters would include Narnia, Lord of the Rings, Harry Potter, Iron Man, the Batman series, Superman, and the list goes on. Have you ever wondered why we are so enthralled by these books and movies? It has recently crossed my mind, and hence this blog entry. What did Balthasar have to say during his decades of intellectual and contemplative ministry? 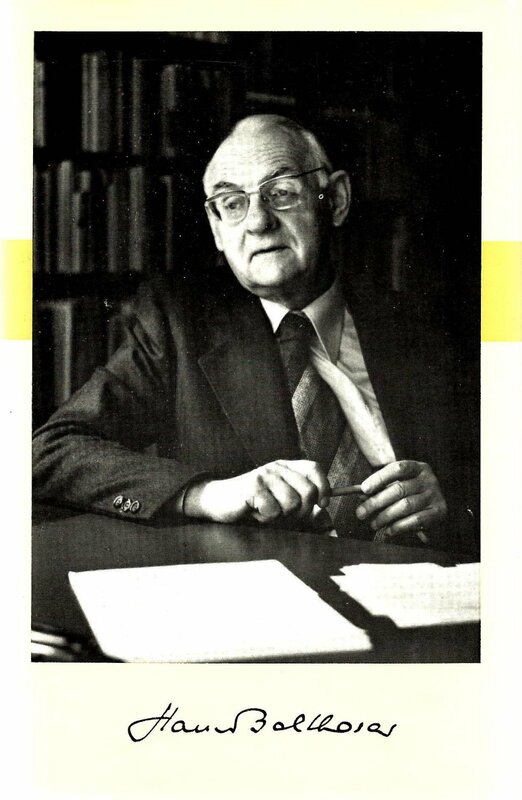 His biography is better read elsewhere; further, it is sometimes daunting to summarize his many and varied theological contributions. But in this Year of Faith and during this 50th anniversary of the Second Vatican Council, it’s worth looking at some of his major themes that continue to reverberate in the Church today. Horatio – O day and night, but this is wondrous strange! Hamlet – And therefore as a stranger give it welcome. There are more things in heaven and earth, Horatio, than are dreamt of in your philosophy. 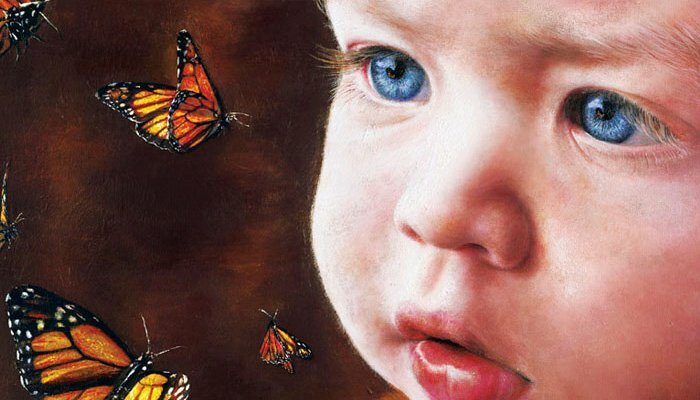 Allow me to relate two stories about children that I heard recently. The first is about the nephews of one of my Jesuit companions who, along with their parents, visited my community a month or so ago. Since they were coming from the States, it turned out to be much cheaper for them to fly into Buffalo than Toronto, so my companion drove across the border to pick them up. On their way to Toronto, they stopped at Fort Niagara, on the American side of the border. My companion said to his nephews, “I hope you brought your bathing suits, because we have to swim to Canada.” His nephews weren’t sure if they had their suits or not. It wasn’t what they were expecting, but it didn’t seem terribly surprising to them: after all, they had never been to Canada before, and for all they knew, the way one got there was by swimming across the river. Of course, it was only when they were told that their uncle was pulling their leg that they saw the joke: before that, it was quite plausible. Throughout my past year at Campion College in Regina, there were a few instances where urgent lay services (with a Gospel reflection and the distribution of already-consecrated hosts) needed to happen on short notice. On these occasions, I had worked with a daily mass-attending graduate student, with each of us doing our respective parts. 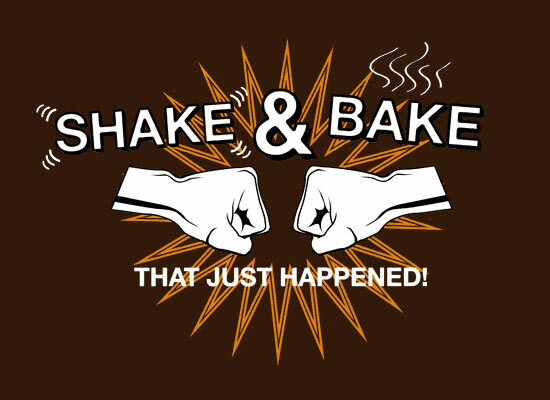 I jokingly named this type of collaboration between clergy and laity the “Shake and Bake”, in reference to a sophisticated manoeuvre between two race cars from the film Talladega Nights. The important dynamics between clergy and laity was again highlighted for me as I reflected on the latest Hearts on Fire retreat (HoF) in Canada, which took place this past weekend in the beautiful St. John's, Newfoundland. Three Jesuits – including myself and two other Ibo contributors – flew into St. John's to give the retreat. One of the main goals of HoF is to provide tools for our retreatants to tangibly develop their relationship with the Lord; it is not the type of retreat where one comes out of it feeling good about learning a few inspiring intellectual concepts. It is the responsibility of the retreatants to incorporate Ignatian contemplation and the examination of consciousness into their spiritual regimen, along with living a more intentional sacramental life. There is precious little that we Jesuits can do if our retreatants do not use the tools with which they have been provided. We are now well beyond the halfway point of the Year of Faith that Pope Emeritus Benedict called last October. 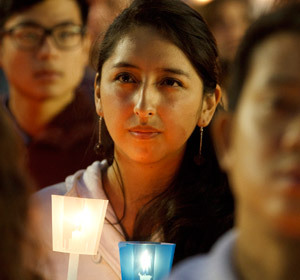 At the beginning of this "Year", Pope Benedict encouraged all Catholics to especially pay attention to the New Evangelization. As such, I thought it would be beneficial for us to take a look at role models whose lives may inspire and help us in this pursuit. We sometimes underestimate how powerful it is to look at the lives of the saints; they continue to work amongst us through their lived examples. For instance, the life of St. Anthony of Padua was celebrated in the Roman Catholic Church yesterday. 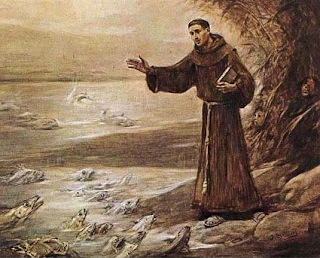 A Franciscan contemporary of St. Francis of Assisi, St. Anthony’s life is a model for the New Evangelization. How so? I will illustrate this by discussing a few aspects of his inspiring life. Recently I gave a talk called “What Pope Francis Expects from Us” at a forum in Vancouver, in which I shared six points I thought the Holy Father has highlighted in the first three months of his pontificate. One of these points was his frequent emphasis on God’s mercy. This could very well end up being the major theme of his papacy. In the past few weeks, we’ve been graced with wonderful material for meditation with the celebrations in our liturgical calendar. Two weeks ago, we had Corpus Christi, reminding us of the importance of the Eucharist in our journey as Christians, and the impact it can have on our lives. 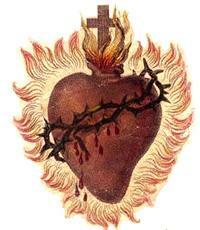 This past week, we celebrated the Sacred Hearts of Jesus and Mary. These celebrations helped us reflect not just on God’s profound love for us, but also on the rich interior life that we are called to in our journey with God. As a person who came to the Church only later on in life, celebrations like the Solemnity of the Sacred Heart used to leave me rather confused and indifferent. It's only when I was in Guelph for to do the Spiritual Exercises (in 2009) that I made my peace with the Sacred Heart of Jesus. It is only then that I truly came to understand what this devotion stood for in my life. This happened because in the early days of the Exercises, we were asked to illustrate our faith journey with something concrete that we could make with pottery. Not having any artistic talents, I was not comfortable with this idea at all! The dying, the crippled, the mentally ill, the unwanted, the unloved – they are Jesus in disguise. –Bl. Mother Teresa. Regis College, through which I have been studying philosophy for the past two years, has a unique crucifix in each classroom and numerous pieces of art throughout the building. So when I heard a couple of months ago that the college was acquiring a new sculpture, I didn’t make much of it. 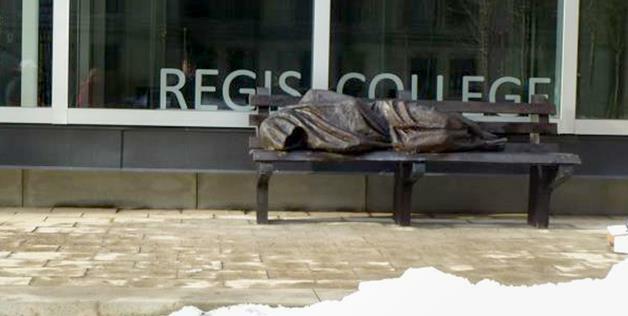 It would be nice to have another work of art, but I didn’t think that it would make a big difference to to the building, even when I heard that this work was a bit different, for it depicts Jesus as a homeless man sleeping on a park bench. 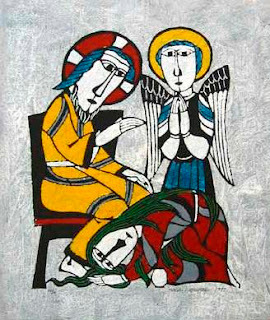 As it turns out, Timothy Schmalz’s “Jesus the Homeless" has attracted a lot of attention, even receiving writeups in many secular journals such as the Toronto Star and the Huffington Post. Although much was made in the news reports of the fact that Schmalz had some difficulty finding a venue for his piece—it turns out that two prominent cathedrals were unable to find a place for it before it was offered to Regis—the positive side of the story was also reported, and this is what has resonated most with people. 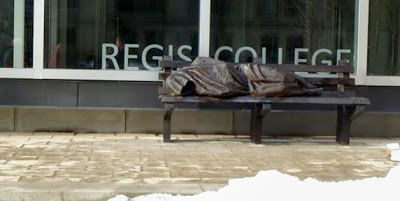 There is something plainly true about a statue that depicts our Lord as a homeless man, identifiable only through the stigmata in his feet poking out from beneath a shabby blanket. As a result, many have come to see the statue and there was a big crowd at a panel discussion on homelessness hosted by the college. 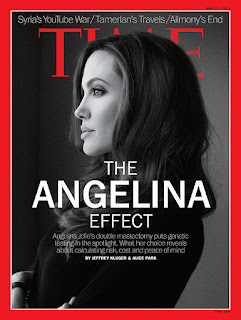 The double mastectomy undergone by the actress Angelina Jolie garnered much attention from the media throughout the past few weeks. Many have chimed in from different angles, including this brief commentary from our brother Jesuit blog in the United States. Much can be said about her decision, but I would like to focus on a few points. 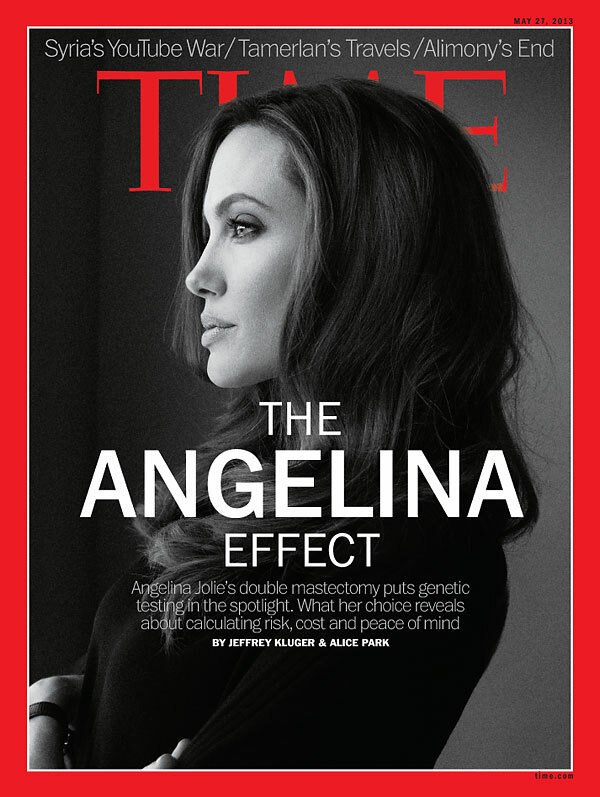 Jolie decided to undergo this medical procedure after discovering that she is the carrier of a mutated copy of a gene called BRCA1. Women who carry a BRCA1 (and also BRCA2) mutation have a much greater chance of getting breast cancer. That being said, it doesn’t mean that all breast cancers are caused by BRCA mutations, nor does it mean that everyone is equally susceptible to such a genetic mutation.